In a small saucepan on medium heat, add the white wine vinegar, and basil. Gently simmer, and reduce by half. Strain through a sieve, and set to one side. Add the egg yolks to a mixing bowl, and a splash of cold water and whisk into a very light froth. You will then need to prepare a bain-marie(feel free to google this, just make sure the mixing bowl doesn’t touch the water or you’ll scramble your eggs). Whilst this is heating, melt the butter, place the bowl with the eggs into the bain-marie, and add a table spoon of the vinegar reduction before whisking . Slowly add the melted butter as you whisk. – If the mixture looks like it’s beginning to split, stop adding butter and keep whisking vigorously. The mixture should become thicker on it’s own. Fill a medium saucepan with 2 inches water and bring to a simmer. Crack 1 egg into a small cup. With a spoon, make a swirling motion in water and slowly add egg, using spoon to tuck egg white close to yolk. Follow with the other eggs small cup and add to water; repeat tucking motion with egg white. Cook each egg for 5 minutes. Remove from water using a slotted spoon. 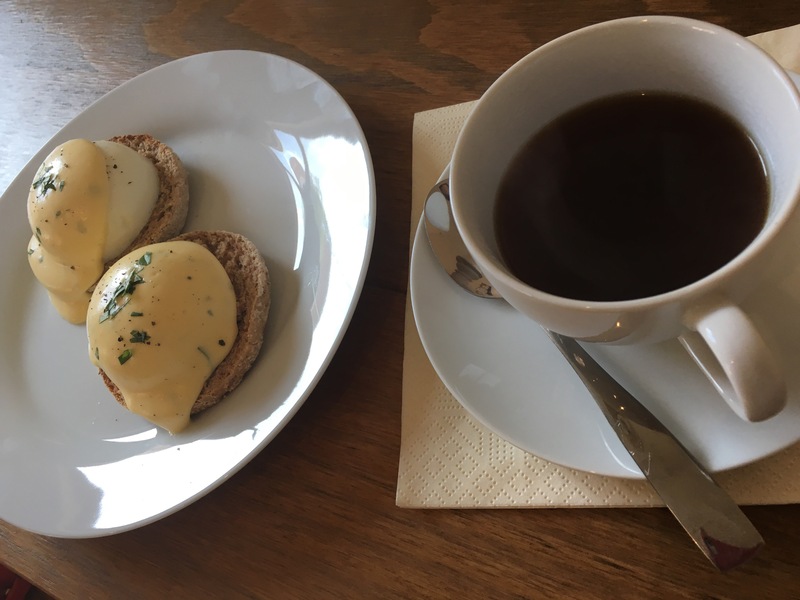 Top English muffin halves with egg and hollandaise. Garnish with additional basil and cracked pepper.